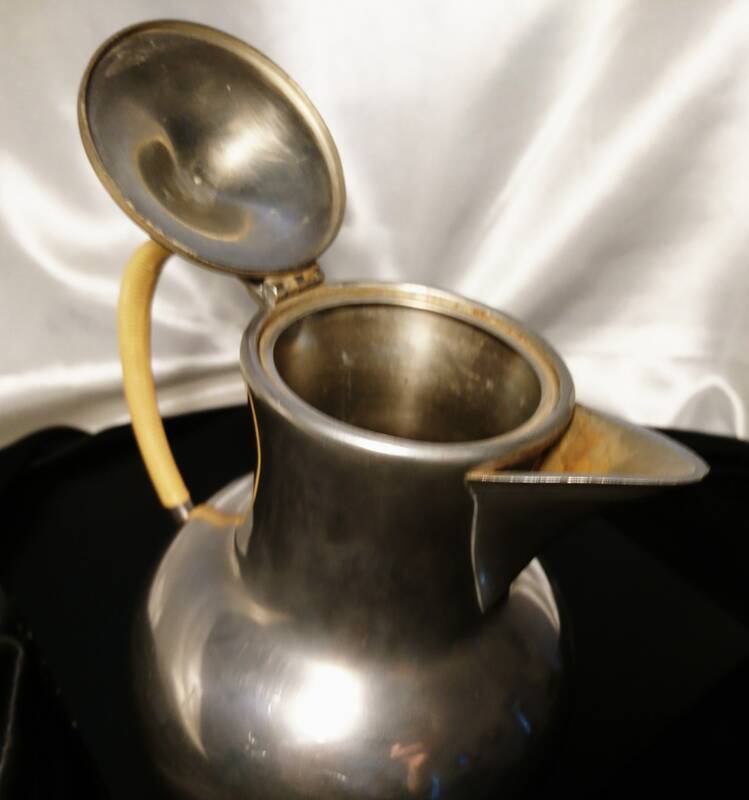 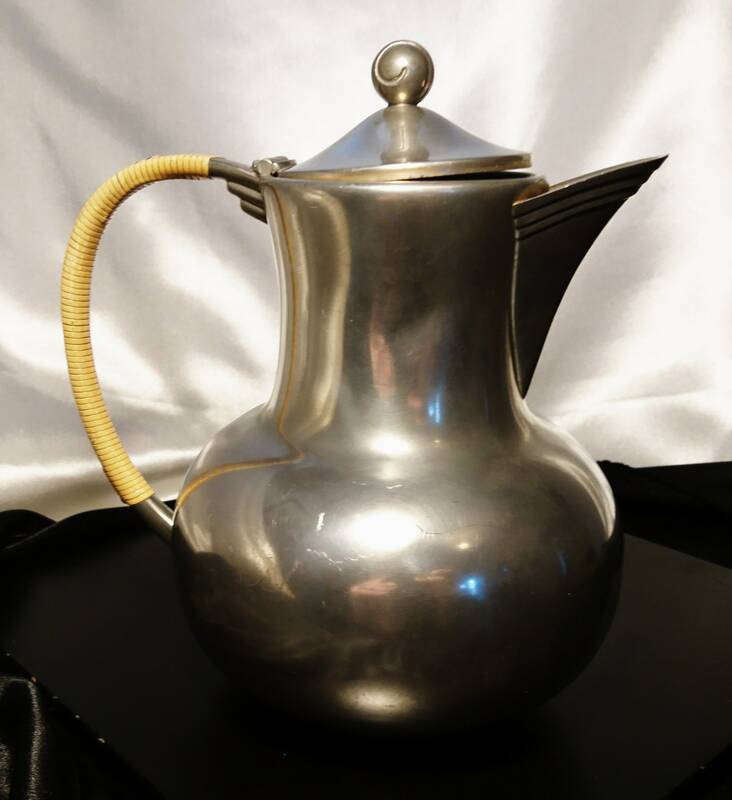 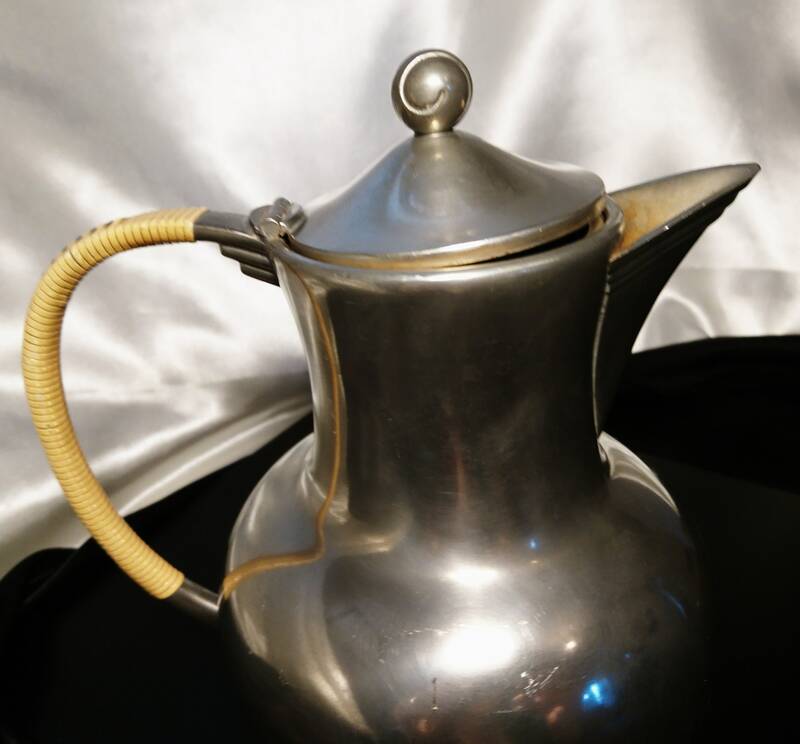 A charming mid century, late 1950's vintage tea or coffee pot by Royal Holland pewter. 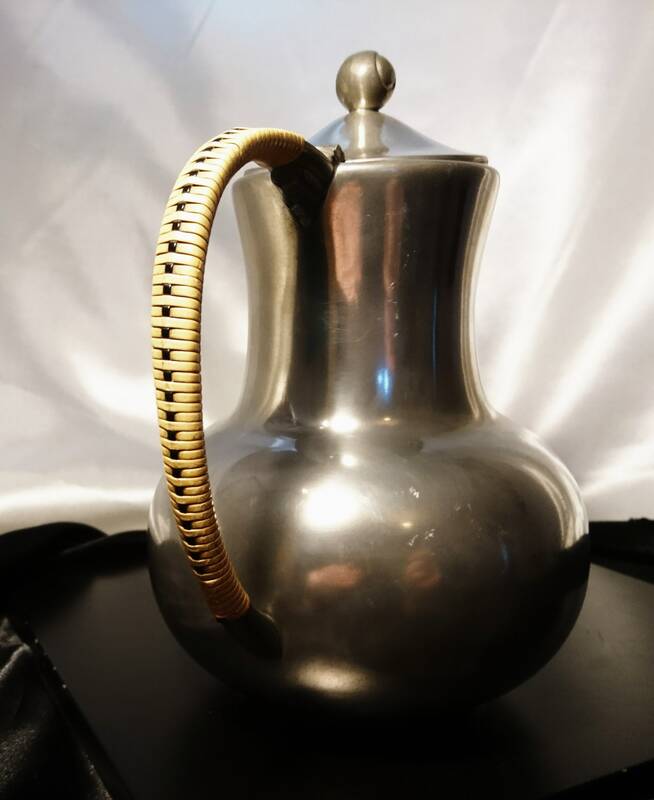 This is a very elegant piece tall with a swirl deco style handle and a covered beige and black plaited rattan handle. 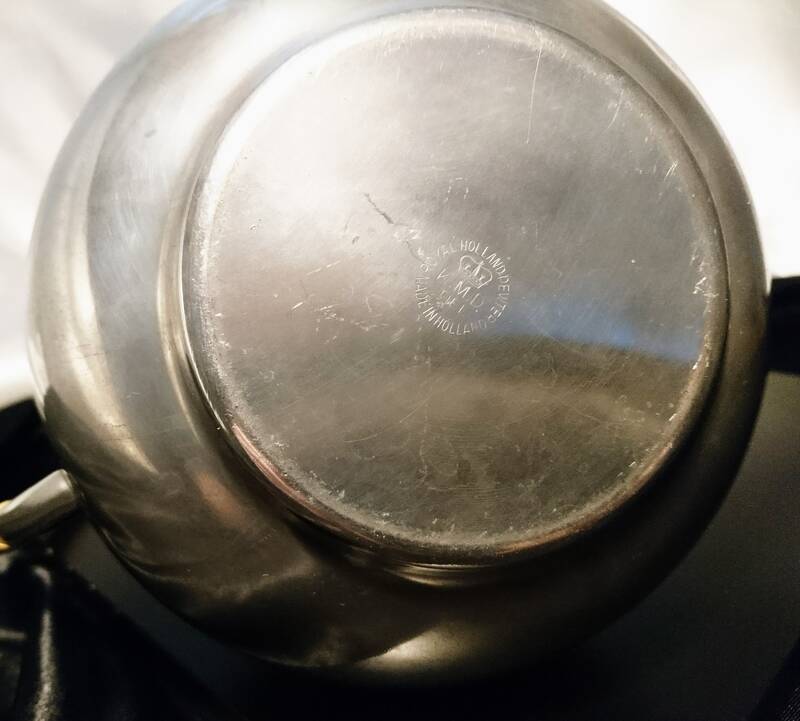 Lovely rustic looking pot in very good vintage condition, some residue from hot water but will clean up well. 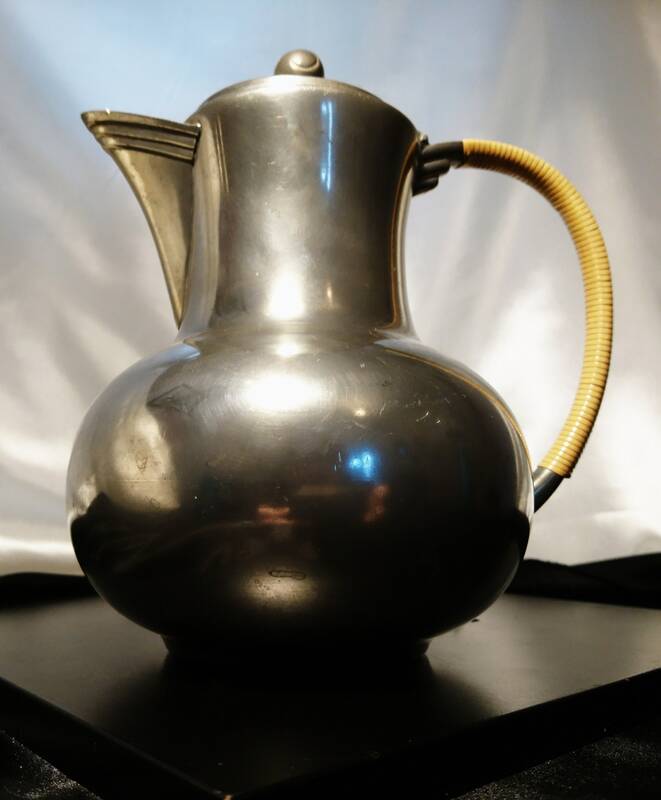 Marked to the base with KMD Royal Holland pewter.